I love being creative with technology, whether it be putting on events, coding or making photos and videos. I've explored these passions through my hobbies, degree, freelance work and jobs, some of which is showcased on this site. To see what I've been doing recently follow me on Instagram. Almost a decade in live events, including theatre, community events, national danceshows, live bands & large club acts; working many of the roles in the venue. Academic and industry experience in problem-solving and team-working in a range of programming languages, from desktop to embedded. Shooting a range of subjects, such as sports, live events & portraiture, for over 5 years. I have produced videos for a variety of clients, including promotional pieces, music videos, events highlights and wedding videos. I was involved in leading technical teams, training staff and booking events for clients at the largest student venue in the UK. 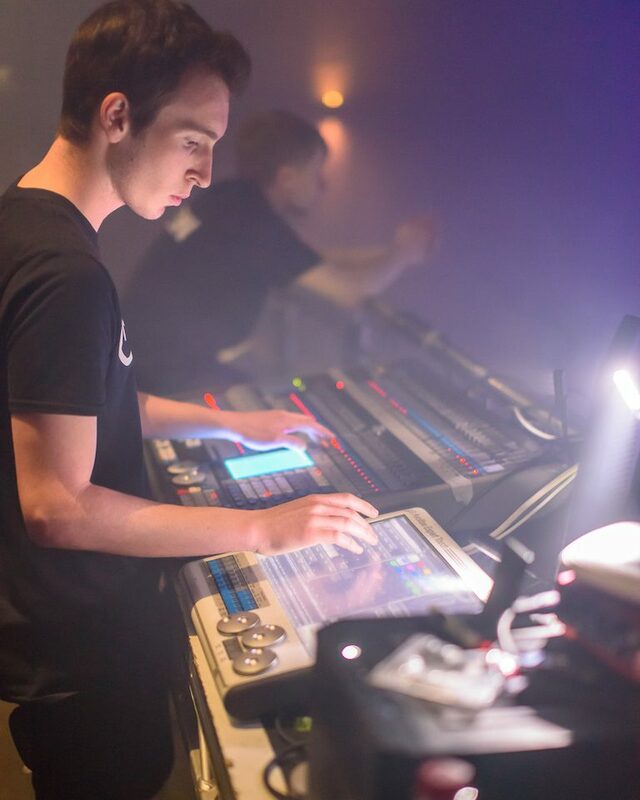 I specialised in programming and operating lighting & sound desks, as well experience of planning events, transferring requirements into specifications and booking staff. I ensured the events ran smoothly to make a great experience for the client and audience, with big name acts like Wilkinson, The Hoosiers, Craig David, The Midnight Beast & S Club 7. In my three months at Arm, I worked as part of an agile team maintaining a legacy IP delivery system; this involved working in virtual environments based on the command line, using Git & Docker and developing in PHP & Tcl, working as part of scrum team managed through Jira. I also gained experience of a larger IT department, using Office 365 as well use of SharePoint sites. This gave me practice of public speaking through giving punting tours of Cambridge by boat, which meant interacting and entertaining customers, as well as some sales experience. I loved volunteering here: I was given the responsibility of events and learnt a lot about events and working with external clients; I then went on to work there, putting on countless gigs during my time there.